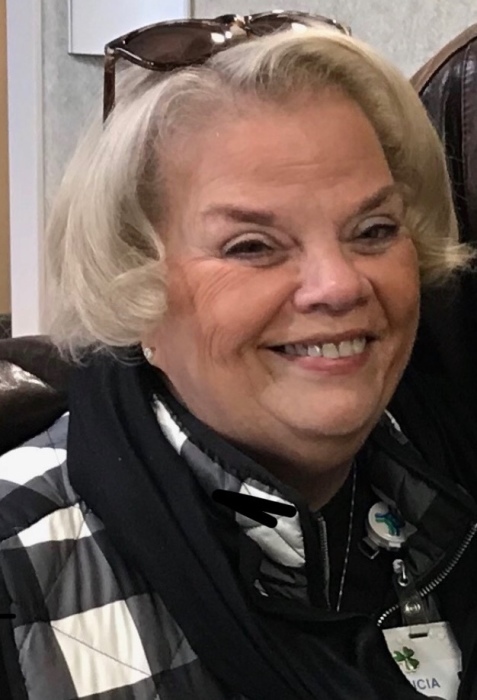 CANFIELD - A prayer service will be held on Friday, March 29, at 12:15 p.m. at the Higgins-Reardon Funeral Homes, Boardman-Canfield Chapel, followed by a Mass of Christian Burial at 1 p.m. at St. Charles Church, for Patricia L. Helm, who died unexpectedly Sunday morning at St. Elizabeth Youngstown Hospital. Patricia was the first born identical twin daughter of Robert William and Maryalice (Wnoroski) Herpy in Conneaut. She came to the Youngstown area in 1965. She received her bachelor’s degree from Youngstown State University and was a graduate of the St. Elizabeth’s Hospital School of Nursing. She later attended John Carroll University. Early in her professional career, Patricia was employed as a nurse at University Hospital in Cleveland. She continued her career at St. Elizabeth Youngstown Hospital, where she was involved in nursing and administrative duties. She retired in 2014 as Director of Quality Assurance and Accreditation. She was held in high regard throughout the entire hospital system and dedicated her life to service to others before herself. Following her retirement, she continued volunteering at St. Elizabeth Boardman Hospital in the surgical waiting room and continued her service to the hospital community. In addition to her hospital duties, she was a member of the Junior League, the St. Elizabeth Hospital’s Auxiliary, Century Club of the Ursuline Sisters, and also was active with Clergy Pastoral Ministry at St. Charles Church. She was a member of the Logangate Condo Administration Board, a voter registration volunteer as a Precinct Election Official, a First Aid Station volunteer at LPGA events, and other various volunteer work too numerous to mention. She was an avid fan of Notre Dame and Navy, and loved celebrating St. Patrick’s Day the entire month of March. During the summer months, Patricia would travel with friends to Lake Chautauqua where she attended Chautauqua Literary and Scientific Circle, enjoying lectures, music and relaxation. One of her greatest passions was spending time with her beloved nieces and nephews. Patricia leaves two brothers, James (Kristi) Herpy of Athens and Perry (Becky) Herpy of Lucasville; many nieces and nephews, Nick (Sandy) Herpy of Henderson, Nev., Bob Herpy (Mallory Righter) of Columbus, Jill Herpy of Cincinnati, Erin Herpy of Columbus, Lauren Herpy of Athens, and Jimmy Herpy of Boston, Mass. ; and one great niece, Adeline Piper Herpy. She was preceded in death by her parents and her identical twin sister, Sr. Jacquelyn Herpy, O.S.U., of Youngstown. Family and friends may call Thursday from 4 to 7 p.m. and Friday from 11 to 12:15 p.m. at the Higgins-Reardon Funeral Homes, Boardman-Canfield Chapel, 3701 Starr’s Centre Drive. Memorial Contributions may take the form of donations to the Ursuline Sisters Century Club, 4250 Shields Rd, Canfield, OH 44406, or a charity of your choice in Patricia’s name.